Plaque is a soft, sticky substance that builds up on your teeth. It is mostly made up of bacteria. The bacteria in plaque feed on sugar from food and drink, producing acids as a waste product. The acids attack the teeth by dissolving the minerals in the tooth surface. If this happens too often, tooth decay results. And, if plaque is allowed to build up, the bacteria in it can cause gum disease, making your gums sore and infected. Tartar (also known as ?calculus?) formed by hardened plaque, helps plaque to gather and makes it harder to remove when you brush. You can?t remove tartar just by brushing your teeth, but a dentist or hygienist can remove it using special instruments ? this is known as scaling. 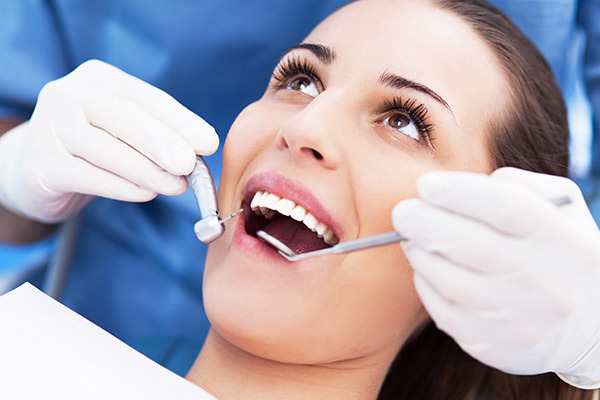 A hygienist or dentist can also polish your teeth. This removes stains from coffee, tea, cigarettes or red wine and it makes it more difficult for plaque to stick to your teeth. If you clean your teeth very thoroughly at home, your scale and polish treatment will take less time. Electric scalers ? use a tip that vibrates very fast in a stream of water. The water is removed from your mouth using a small suction device. A hand scaler is also used along with an electric scaler, to check whether the teeth are completely clean. For polishing, your hygienist or dentist will use a rotating brush or rubber polisher with a special toothpaste. Scaling cleans above and below the gum line. If you have gum disease you may also need deeper scaling around the roots of the teeth. Your hygienist or dentist will also tell you the best way to clean your teeth and gums thoroughly at home. Regular scaling and polishing by the hygienist or dentist help keep your teeth and gums healthy by making it easier for you to keep your teeth clean at home. You should see and feel the difference. If your gums bleed when you brush, you may have early gum disease. Regular scaling helps to stop the disease getting worse; and it helps you to eliminate the disease by thorough cleaning at home. Bad breath is often caused by gum disease. Regular scaling and cleaning your teeth thoroughly at home, can prevent this.